The Search.yourpackagesnow.com is a browser hijacker which could bring certain problems to your computer. Once installed, it can impose changes to your web-browser’s settings, making your search engine, new tab and home page to become its own web page. You may have certain problems like being redirected to unwanted web pages, receiving a huge number of intrusive pop-up ads, and user information being collected without any knowledge, while this hijacker is installed on your personal computer. In addition, the Search.yourpackagesnow.com browser hijacker infection can also modify the search provider selected in the web browser. When you try to search on the affected internet browser, you’ll be presented with search results, consisting of advertisements and Google (or Yahoo, or Bing) search results for your query. Among these search results can occur links that lead to unwanted and ad web sites. Moreover, an ‘ad-supported’ software (also known as adware) may be additionally installed on to your computer by this browser hijacker, which will show lots of ads, or even massive full page ads that blocks surfing the Web. Often such these ads can recommend to install other unknown and undesired programs or visit harmful websites. The instructions below explaining steps to remove Search.yourpackagesnow.com problem. Feel free to use it for removal of the hijacker that may attack Microsoft Internet Explorer, Chrome, Firefox and MS Edge and other popular web browsers. The tutorial will help you return your current settings of all your typical web browsers which previously changed by hijacker infection. Not all unwanted applications like hijacker that designed to redirect your browser to the Search.yourpackagesnow.com website are easily uninstallable. You might see a new home page, newtab, search provider and other type of undesired changes to the Edge, Google Chrome, IE and Mozilla Firefox settings and might not be able to figure out the program responsible for this activity. The reason for this is that many unwanted apps neither appear in MS Windows Control Panel. Therefore in order to completely get rid of Search.yourpackagesnow.com , you need to execute the following steps. Certain of the steps will require you to reboot your machine or close this website. So, read this guide carefully, then bookmark or print it for later reference. Why has my start page and search provider changed to Search.yourpackagesnow.com? The tutorial will help you delete Search.yourpackagesnow.com . These Search.yourpackagesnow.com removal steps work for the Google Chrome, IE, Microsoft Edge and Firefox, as well as every version of computer OS. 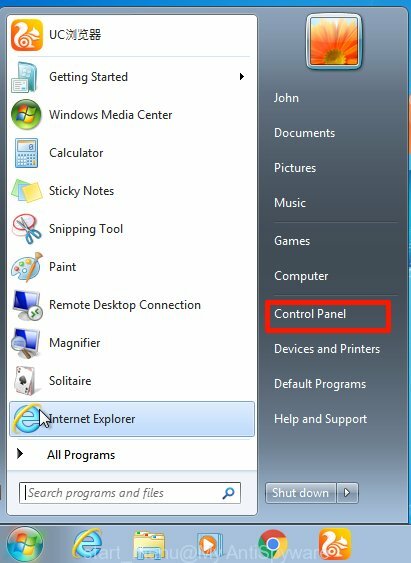 In order to get rid of Search.yourpackagesnow.com, first thing you need to do is to remove unknown and dubious programs from your personal computer using MS Windows control panel. When removing this browser hijacker, check the list of installed programs and try to find suspicious applications and delete them all. 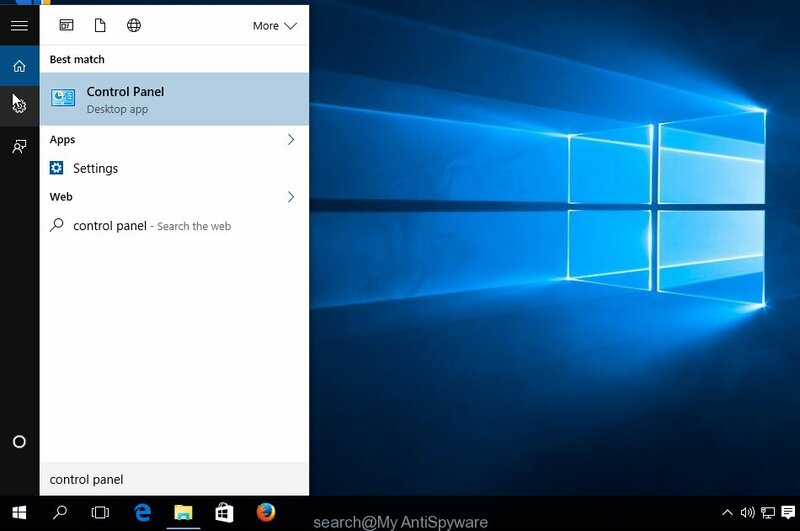 Pay special attention to recently installed apps, as it is most likely that the Search.yourpackagesnow.com hijacker сame along with it. Carefully browse through the list of installed applications and remove all suspicious and unknown software. We suggest to click ‘Installed programs’ and even sorts all installed programs by date. When you have found anything suspicious that may be the browser hijacker which changes browser settings to replace your default search engine, newtab and startpage with Search.yourpackagesnow.com web-site or other PUP (potentially unwanted program), then choose this program and click ‘Uninstall’ in the upper part of the window. If the suspicious program blocked from removal, then use Revo Uninstaller Freeware to fully remove it from your system. The Firefox reset will remove unwanted search engine and startpage such as Search.yourpackagesnow.com, modified preferences, extensions and security settings. However, your themes, bookmarks, history, passwords, and web form auto-fill information will not be deleted. First, start the Firefox and click button. It will display the drop-down menu on the right-part of the internet browser. Further, click the Help button ( ) as shown on the image below. It will display the confirmation dialog box. Further, click the “Refresh Firefox” button. The Mozilla Firefox will begin a task to fix your problems that caused by the Search.yourpackagesnow.com browser hijacker. Once, it’s complete, press the “Finish” button. 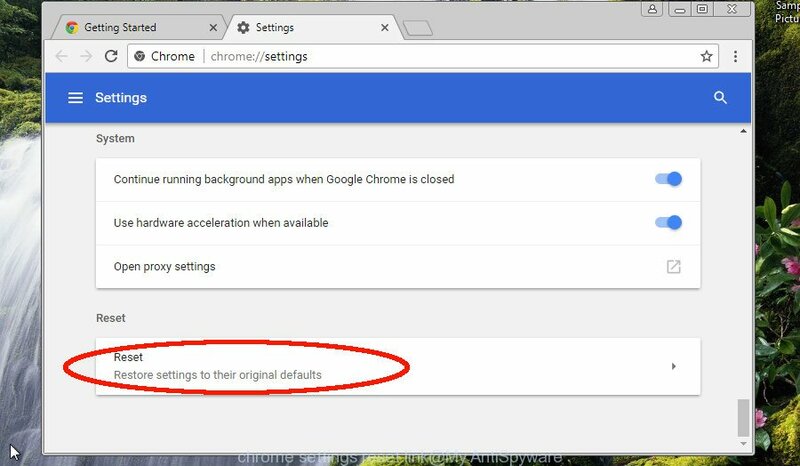 If you are getting Search.yourpackagesnow.com instead of your startpage or search engine, then you can try to remove it by resetting Google Chrome to its default values. It will also clear cookies, content and site data, temporary and cached data. When using the reset feature, your personal information such as passwords, bookmarks, browsing history and web form auto-fill data will be saved. The Internet Explorer reset is great if your browser is hijacked or you’ve unwanted addons or toolbars on your web-browser, that installed by a malicious software. You will now need to restart your personal computer for the changes to take effect. It will get rid of hijacker that alters browser settings to replace your default search provider, new tab page and homepage with Search.yourpackagesnow.com webpage, disable malicious and ad-supported internet browser’s extensions and restore the Internet Explorer’s settings such as start page, default search engine and newtab page to default state. If you’re unsure how to remove Search.yourpackagesnow.com browser hijacker easily, consider using automatic browser hijacker infection removal apps that listed below. 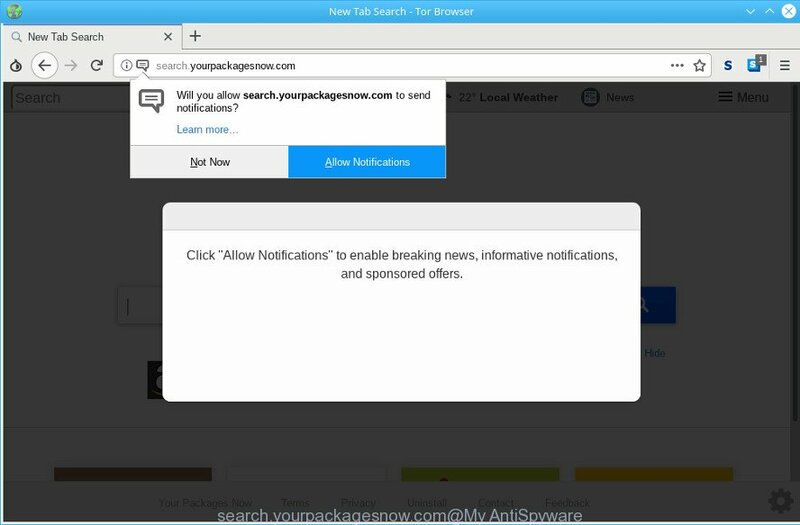 It will identify the hijacker responsible for redirecting your browser to Search.yourpackagesnow.com site and remove it from your computer for free. 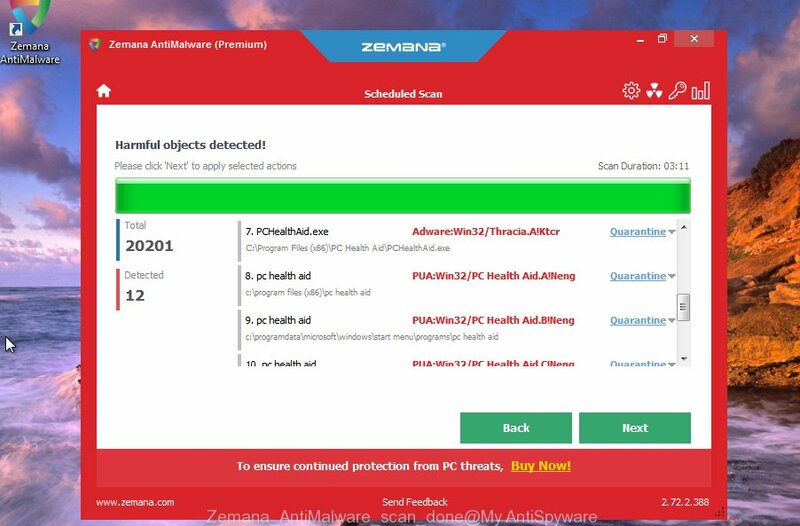 You can download and use the Zemana Anti-Malware for free. This anti malware utility will scan all the MS Windows registry entries and files in your machine along with the system settings and browser extensions. If it finds any malware, ad-supported software or malicious extension that is responsible for redirects to Search.yourpackagesnow.com then the Zemana AntiMalware (ZAM) will remove them from your PC completely. Click the following link to download Zemana Anti-Malware. Save it to your Desktop. When downloading is complete, close all windows on your computer. Further, open the install file called Zemana.AntiMalware.Setup. If the “User Account Control” prompt pops up as displayed on the image below, click the “Yes” button. Next, press the “Scan” button to perform a system scan with this utility for the hijacker that causes internet browsers to display annoying Search.yourpackagesnow.com web page. This procedure may take some time, so please be patient. While the utility is scanning, you can see number of objects and files has already scanned. 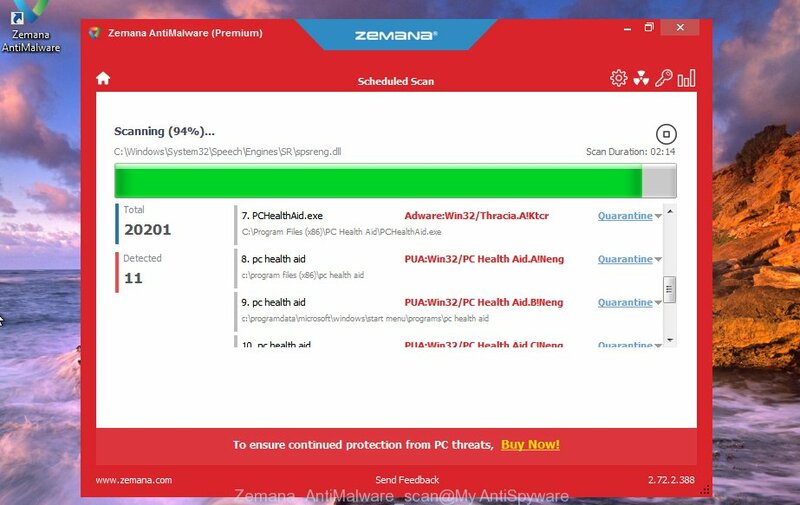 Once the scan is finished, Zemana Anti Malware will show a screen which contains a list of malware that has been found. Review the scan results and then click “Next” button. The Zemana Anti-Malware will get rid of browser hijacker infection that cause a redirect to Search.yourpackagesnow.com site and add threats to the Quarantine. When disinfection is finished, you can be prompted to reboot your computer. If Zemana Free cannot remove this browser hijacker, then we advises to use the Hitman Pro. The Hitman Pro is a free powerful, professional removal utility for malicious software, adware, PUPs, toolbars as well as hijacker related to Search.yourpackagesnow.com startpage. It completely removes all traces and remnants of the infection. Once the downloading process is finished, open the folder in which you saved it and double-click the HitmanPro icon. It will start the Hitman Pro tool. If the User Account Control prompt will ask you want to start the program, click Yes button to continue. 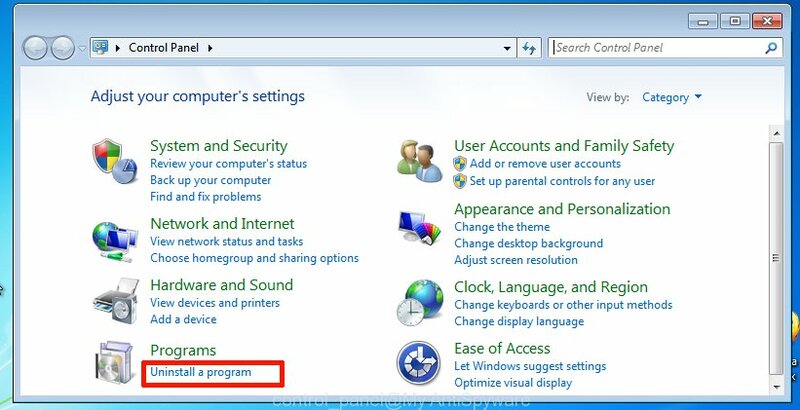 Next, click “Next” for scanning your PC system for the hijacker responsible for changing your internet browser settings to Search.yourpackagesnow.com. When finished, the results are displayed in the scan report as displayed in the figure below. Once you have selected what you wish to remove from your computer click “Next” button. It will show a prompt, click the “Activate free license” button. 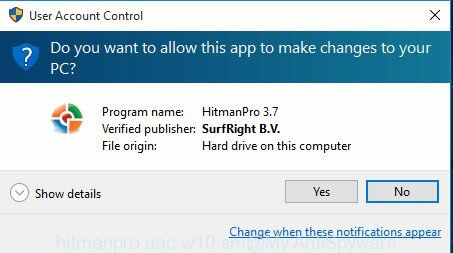 The HitmanPro will begin to remove hijacker infection that reroutes your web browser to annoying Search.yourpackagesnow.com web site. When that process is finished, the utility may ask you to reboot your computer. You can delete Search.yourpackagesnow.com automatically with a help of MalwareBytes Anti-Malware. We recommend this free malicious software removal utility because it can easily get rid of hijacker infection, ad-supported software, potentially unwanted apps and toolbars with all their components such as files, folders and registry entries. Download MalwareBytes AntiMalware (MBAM) on your PC by clicking on the link below. When downloading is finished, close all windows on your machine. Further, start the file named mb3-setup. If the “User Account Control” dialog box pops up as on the image below, press the “Yes” button. It will show the “Setup wizard” which will allow you install MalwareBytes AntiMalware on the machine. Follow the prompts and don’t make any changes to default settings. Once installation is finished successfully, click Finish button. 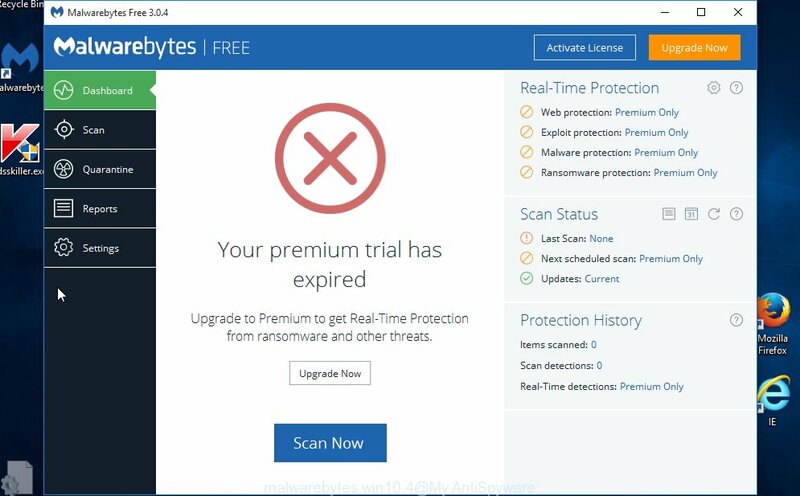 Then MalwareBytes AntiMalware will automatically start and you can see its main window as displayed in the following example. Next, press the “Scan Now” button to perform a system scan with this utility for the browser hijacker responsible for modifying your web-browser settings to Search.yourpackagesnow.com. This task can take some time, so please be patient. 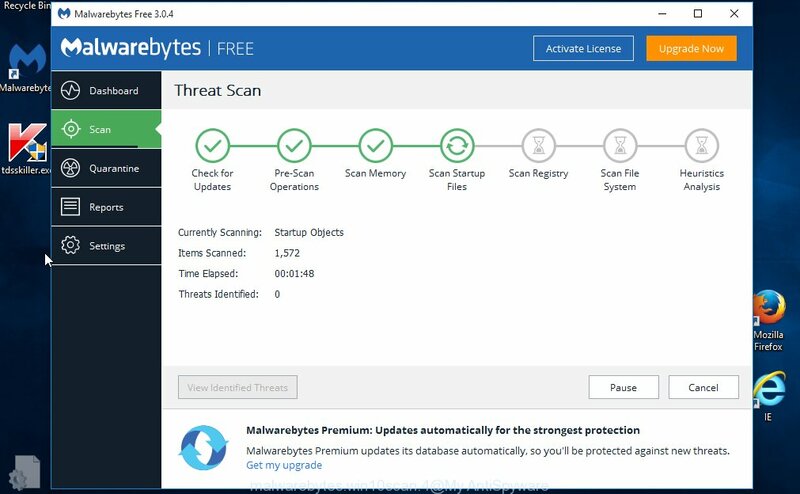 During the scan MalwareBytes Free will look for threats exist on your computer. 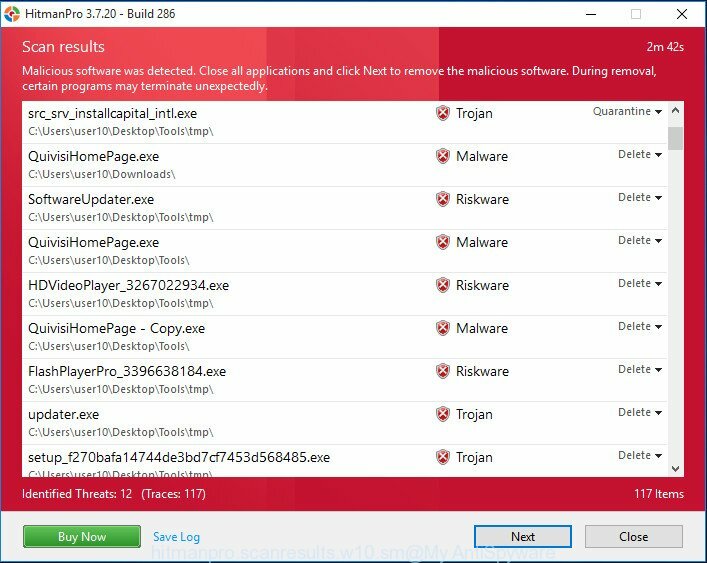 When MalwareBytes completes the scan, you will be opened the list of all found items on your computer. Review the results once the tool has complete the system scan. If you think an entry should not be quarantined, then uncheck it. Otherwise, simply click “Quarantine Selected” button. The MalwareBytes Anti Malware will begin to get rid of hijacker infection that reroutes your internet browser to undesired Search.yourpackagesnow.com web-page. When disinfection is complete, you may be prompted to restart your computer. We suggest you look at the following video, which completely explains the process of using the MalwareBytes Anti-Malware (MBAM) to remove browser hijackers, adware and other malicious software. The AdGuard is a very good ad-blocking program for the Firefox, Microsoft Edge, Google Chrome and Microsoft Internet Explorer, with active user support. It does a great job by removing certain types of undesired advertisements, popunders, popups, intrusive newtabs, and even full page advertisements and web page overlay layers. Of course, the AdGuard can block the Search.yourpackagesnow.com redirect automatically or by using a custom filter rule. Installing the AdGuard is simple. First you will need to download AdGuard from the following link. Save it to your Desktop so that you can access the file easily. Once the installation is finished, press “Skip” to close the installation program and use the default settings, or click “Get Started” to see an quick tutorial which will help you get to know AdGuard better. In most cases, the default settings are enough and you don’t need to change anything. Each time, when you start your system, AdGuard will run automatically and stop unwanted pop up ads, block Search.yourpackagesnow.com, as well as other harmful or misleading webpages. For an overview of all the features of the program, or to change its settings you can simply double-click on the icon named AdGuard, that is located on your desktop. The browser hijacker is usually spreads bundled with free software and install themselves, with or without your knowledge, on your computer. This happens especially when you are installing a free applications. The program installation package tricks you into accepting the installation of third party applications, which you don’t really want. Moreover, some paid apps can also install optional programs that you do not want! Therefore, always download free software and paid apps from reputable download web-pages. Use ONLY custom or manual setup option and never blindly click Next button. After completing the steps above, your PC should be clean from this browser hijacker infection and other malware. The IE, Mozilla Firefox, Edge and Google Chrome will no longer show annoying Search.yourpackagesnow.com web-page on startup. Unfortunately, if the step-by-step tutorial does not help you, then you have caught a new browser hijacker, and then the best way – ask for help. Please create a new question by using the “Ask Question” button in the Questions and Answers. Try to give us some details about your problems, so we can try to help you more accurately. Wait for one of our trained “Security Team” or Site Administrator to provide you with knowledgeable assistance tailored to your problem with the unwanted Search.yourpackagesnow.com .